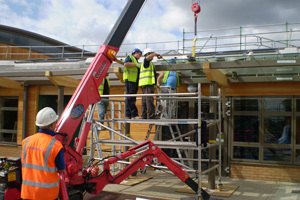 The UNIC 295 mini crane is the first mini crawler available in Europe narrow enough to allow access through a standard doorframe, but with almost 3 tonnes of lifting power. It leads the way technically with an array of safety features including a computer-controlled, intelligent voice warning system. 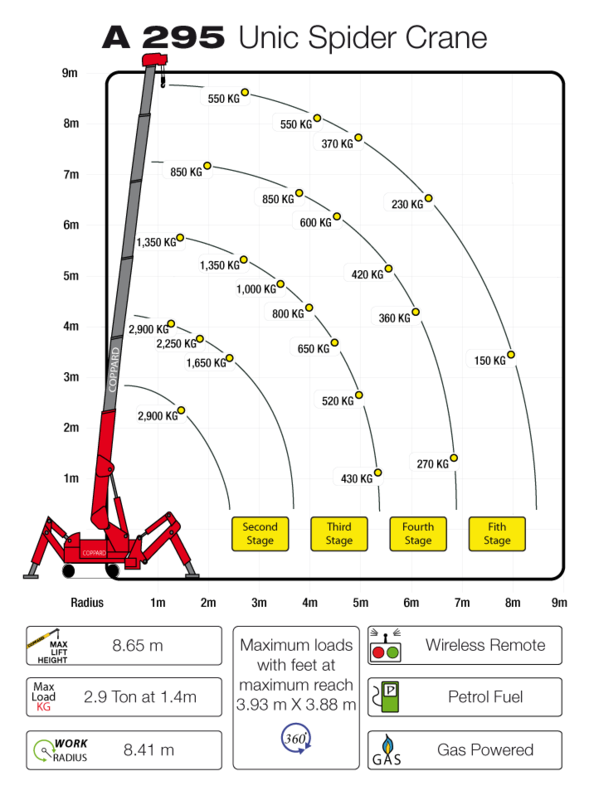 Other safety devices include: automatic boom speed reduction approaching overload, auto-stop and continuous alarm on overload, anti two-block system, auto hook stow system and full safe load indicator system.